With excitement, I am extending to you an invitation to a New Moon Toning circle. At some point (for years) I was hosting these evenings bi-monthly with both the new and full moons. Every session is different, and this month should be particularly interesting. It is a powerful new moon to go inward through the voice and upward with the Peruvian Whistling Vessels. The ceramic vessels create a strong sound current within which to travel with sound. I have collected the Huacas (whistling vessels) during my times in Peru. 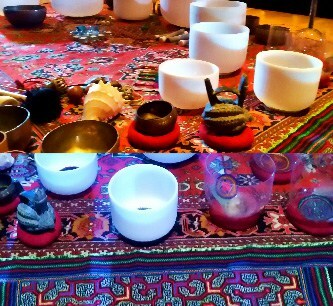 This will be the first time I am sharing the vessels around the circle for this new moon toning. Promises to be balancing, cleansing and powerful! Please Email me for directions. It’s not on Google Maps. Thank You.